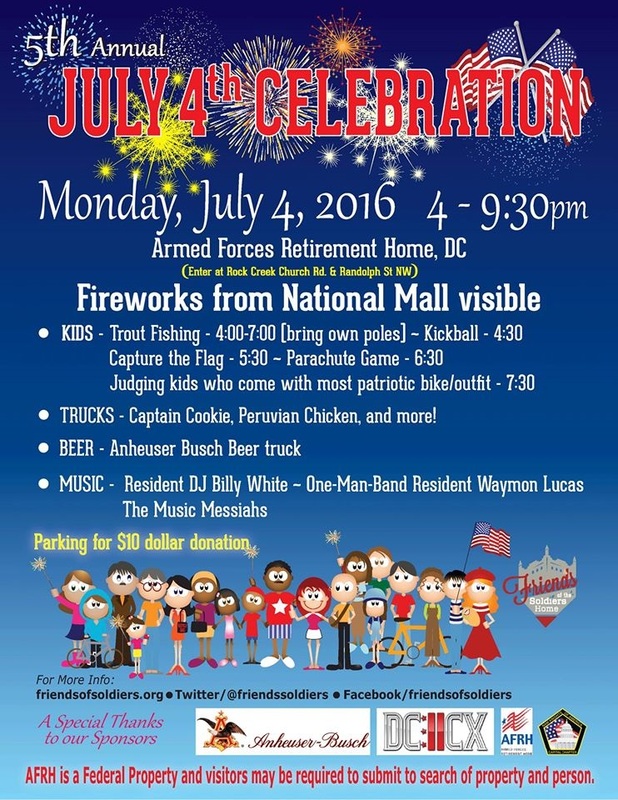 Mark Your Calendars — Annual Soldiers’ Home July 4th Celebration Coming Up | Park View, D.C. The Friends of the Soldiers Home has organized their 5th Annual Fourth of July at the Armed Forces Retirement Home. See the flyer below for the schedule, or check out the Friends of the Soldiers Home’s Web site to learn more about the group. This entry was posted on June 27, 2016 at 7:01 am and is filed under Holidays, Sports leisure and entertainment. You can subscribe via RSS 2.0 feed to this post's comments.